Description EX trim, Hematite Metallic exterior and Black interior. EPA 36 MPG Hwy/27 MPG City! Moonroof, Keyless Start, CD Player, Blind Spot Monitor, Dual Zone A/C, Bluetooth, Aluminum Wheels, Back-Up Camera, iPod/MP3 Input, Edmunds.com's review says "The fully redesigned 2013 Honda Accord returns to the top of the family-sedan class with a mix of excellent packaging, superb fuel economy and rewarding performance.". CLICK NOW! Sunroof, Back-Up Camera, iPod/MP3 Input, Bluetooth, CD Player, Aluminum Wheels, Keyless Start, Dual Zone A/C, Blind Spot Monitor. Honda EX with Hematite Metallic exterior and Black interior features a 4 Cylinder Engine with 185 HP at 6400 RPM*. MP3 Player, Remote Trunk Release, Keyless Entry, Steering Wheel Controls, Child Safety Locks. 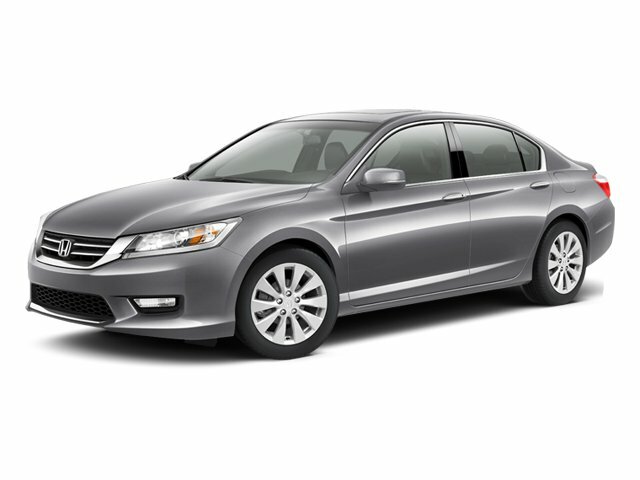 Edmunds.com explains "The fully redesigned 2013 Honda Accord returns to the top of the family-sedan class with a mix of excellent packaging, superb fuel economy and rewarding performance. ".